Aaron Bewsick, Chronicle Herald, Mar 17, 2018. With 84% being burnt via the Biomass Burner (73%) or Firewood (11%), PHP, NSP, NSDNR ad even FSC are doing their part to increase GHG emissions while calling the practices “sustainable”. In reference to Danny George’s claim that Old Growth forest is being cut on Crown land in the Loon Lake area (see Post, Feb 23, 2018), Nova Scotia Department of Natural Resources used some very cautious language in response to queries from the Chronicle Herald and managed to avoid any admission that their system for managing harvests of Crown land forests is seriously flawed. “We acknowledge the possibility of old forest or old growth in there,” said Mark Pulsifer, regional resource manager for the Department of Natural Resources. …“When we have those situations where there are errors, our fall-back is that we have boots on the ground,” he said. Pulsifer said that because the province has already protected about 16 per cent of the land in that particular ecodistrict as old forest — above the required eight per cent — the department is able to allow some cutting in areas that could qualify as old forest. As it’s almost 2 weeks since NSDNR said the Rocky Lake site was being assessed by their old forest specialist, I am guessing NSDNR now knows more about than site than they are letting on; they are just trying to figure out how to phrase it all. 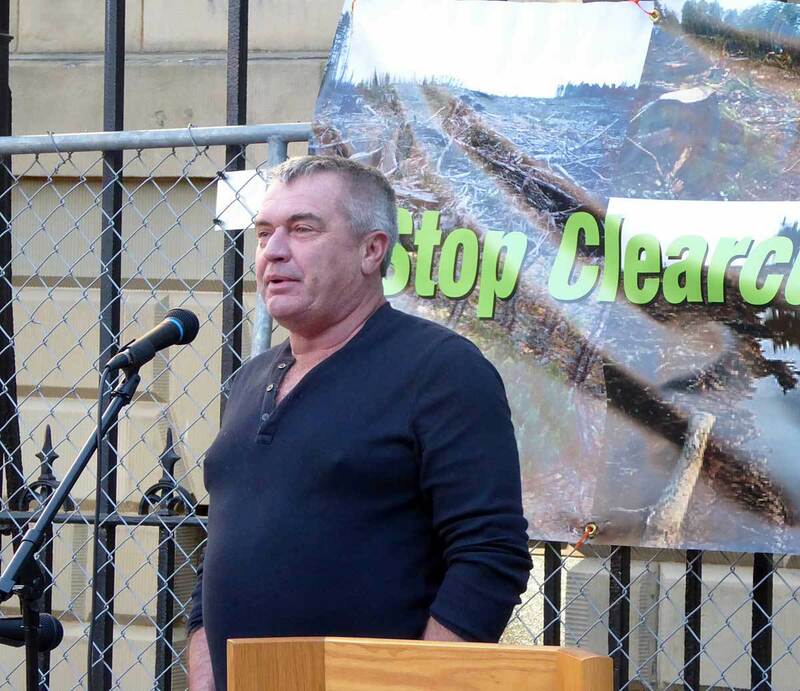 Marven Hudson, district superintendent for Port Hawkesbury Paper, said identifying old growth is the province’s responsibility, not the mill’s. “We don’t identify the old growth — the province identifies old growth,” he said. I have to wonder, as I have before, what FSC certification of PHP’s Crown land management does that is not covered by DNR requirements. Certainly, the public has higher expectations. According to a document provided by Port Hawkesbury Paper, of the hardwood it has cut in the area of Loon Lake Road, 73 per cent went for fuel wood (biomass), 11 per cent for firewood, eight per cent for hardwood pulp, six per cent for saw logs and a very small amount to make pallets. Related to fuel for the Nova Scotia Power boiler, PHP’s supply comes mostly from wood bark removed by mills prior to lumber or paper production. The supply of low-grade fuelwood to the boiler (such as those harvested on the Loon Lake site) follows the allocation of higher quality material (sawlogs, studwood, or pulpwood) which is directed to wood processing facilities for primarily lumber and paper production. It would not make economic sense to send higher quality material to the biomass facility because the economic value would not be fully realized. With the available supply of wood bark and low-grade fuelwood, there is no need to allocate higher valued material to the biomass facility. View previous posts related to harvests in the Loon Lake area. This entry was posted in Acadian Forest, Forest Certification, Loon Lake, NSDNR, Old Growth. Bookmark the permalink.